Welcome to the Easter Egg guide for Voyage of Despair, a brand new Black Ops 4 zombies experience that's set in an alternate Treyarch inspired universe. In this guide you'll find a complete walkthrough for the Voyage of Despair EE including detailed steps, screenshots and puzzle solutions to set you on your way. 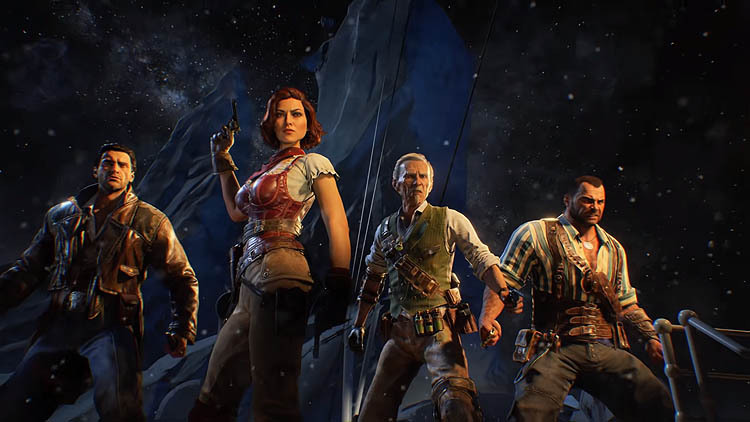 Voyage of Despair introduces the new Black Ops 4 characters of Scarlett Rhodes, Diego Necalli, Bruno Delacroix and Stanton Shaw. Set on the historical ship the RMS Titanic, after an attempt to steal an ancient artefact goes wrong, players are left to survive in a giant map that's full of twisted corridors, cramped areas and verticality. Jason Blundell described VoD as an intermediate to advanced map - certainly not one for beginners to master immediately. If you're looking for a casual experience then Blundell suggests that you check out IX first. The Easter Egg for Voyage of Despair is called "Abandon Ship" and is rewarded for successfully completing the trial. 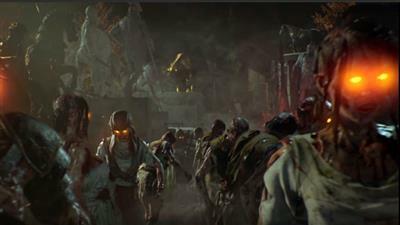 Of all of the zombies maps included at launch, this EE is one of the longer quests in Black Ops 4, on par with Blood of the Dead. By comparison, Classified (which comes through the Black Ops Pass) and IX both contain easier EE's. Although the EE steps are possible SOLO, the final BOSS fight is insanely hard. Interestingly, having four players is also tough because of the number of blightfathers that spawn into the final fight. Three players appears to be the optimal setup for this EE. The Sentinel Artifact is a simple collectible item that's found early in the game. Scout the rooms close to spawn for the artifact which is usually found on the floor. It's a fairly small object so look carefully and watch out for the on screen prompt to "collect part". In my game, the artifact was inside the State Rooms, on the floor near the bed. Work your way through the inner rooms and finally upstairs to get outside and on top of the ship itself. Navigate to the far end of the ship where the Poop Deck is located. Look for the glowing blue item that's just up the stairs at the end of the ship. Interact with it and a group of four red balls will fly off into the air and scatter in different areas of the ship. The following hint appears on the left side of the screen at this point: "For the Elements are Four and must be Attuned". Hunt down the four glowing red balls one by one. This may take a while since you'll need enough points to open the majority of the ship, including the Cargo Hold. When found, simply interact with each of the glowing red balls by holding down the interaction button. By now you will have opened up the Cargo Hold area of the ship - this is the flooded room where you collected one of the pedestals for the PaP. Inside this flooded room is a cog/wheel that must be turned to drain the flooded water. This can be tricky since the room is usually plagued by zombies and you've got to hold your breath underwater too. Another flooded room is the Boiler Room which also has a valve that you should interact with to drain the water. When you activated the PaP, several clocks and alchemy symbols spawned into the map. The challenge now is to find each of the clocks, then note down the time and the alchemy symbol near by. You will be using the symbol and time to set the dials at the Captains Bridge in a minute. So first, go to each of the following locations and note the time on the clock and the symbol. Only four of the six locations will have the time set, ignore those that don't. Now return to the Bridge and stand in front of the captains wheel. Take note of the four dials here - you're going to turn these to match the time on the clocks. The image below shows an example of one of the dials. To do this, match the alchemy symbol on each of the dials to one of the rooms you went to previously. Then turn the dial to match the time on the clock found in that room. The HOUR hand moves in increments of one, just like a normal clock, whilst the MINUTE hand moves in intervals of 5. The image above illustrates this and it's important to understand. So start by turning the dials to match the MINUTE hand for each symbol. If the time was say 5:20, then the MINUTE dial moves 4 times (because increments of 5 mins). Next, we need to match the HOUR. These dials cannot be used to move the HOUR hand. Instead, go to the Engine Room and Poop Deck, turn the dials there to move the HOUR hand. If done correctly, an audio noise will sound and the dials will no longer turn. Note, it's not a perfect visual representation of a clock, but rather the number of times you turn the dial to match the time. Find the tiny outlets which are spewing an element and then kill a matching elemental Catalyst (enemy) in the area. This will spawn a coloured ritual symbol on the floor. Stand inside the symbol so it glows and have all players interact to be transported into a trial. Simply kill all the enemies and the screen turns grey, allowing you to collect the Sentinel Artifact. If done correctly, you'll be able to pick up the real Sentinel Artifact at the end. Go to the engine room and look for the seven leaking pipes (with nine leaks in total). Shoot each leaking point twice with the Acid Kraken upgrade (PaP version of Kraken can also be used but is not required). After all pipes are shot they should leak water to refill the rooms. End the the current round and the Pack-a-Punch machine should spawn in the room. Use the PaP machine to upgrade the Artifact. Interact with each planet symbol, starting from sun and working your way outwards. This activates each one. Note, the symbols are NOT shapes of planets but just basic symbols. Next, interact with the solar system model in the Cargo Hold. Watch carefully as the planets flash - this is the order you need to shoot the planets in. Now, shoot each symbol and hunt for the blue orb which spawns in that symbols location. The orb has a timer so be quick and watch out for the zombies that spawn in too. Once you've collected the orb, return to the symbols and shoot the next one in the sequence. Repeat this process for all of the symbols until the final Sun planet is left. Get all players to the spawn area and interact with the final essence. Now begins a freezing effect with infinite zombies spawning in. You must rush your way through the ship, destroying the frozen blocked doorways to progress. Progress until the end of the boat (where you activated the Artifact in the early steps) and destroy the final ice block. A portal will now spawn to lead you to the BOSS fight. I strongly recommend that all players have an elemental Kraken for the final BOSS fight, especially the Ice Kraken if you can. Now commences the final BOSS fight for Voyage of Despair. This is a very tough fight and you will struggle SOLO. Not only will you face tons and tons of zombies but a giant eye ball spawns above the ship. This eye ball is incredibly deadly, downing a player who gets caught in its laser beam. There are many phases to the BOSS fight (five in total) and at the end of each phase you are teleported to a different area of the boat. Fight off the special zombies as a priority, especially the blightfathers. After enough damage on the eye ball you will progress to the next phase. After Phase 5 the eye ball will disintegrate and the final cutscene will play with a big hint towards a map set in Greece for DLC 1. Note: The Easter Egg is now complete. This guide will be updated with further information and corrections in the coming days. Congratulations to Smartguy, NoahJ456 and Beebat for achieving worlds first. Thanks to you for joining in the hunt and good luck completing the EE yourselves!